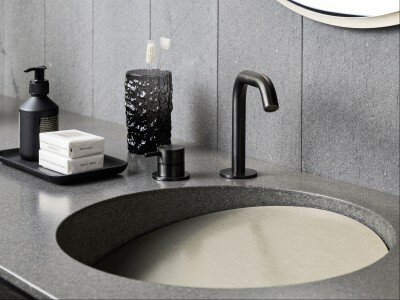 The versatility and strength of Corian Glacier White is multiplied giving each room its character. 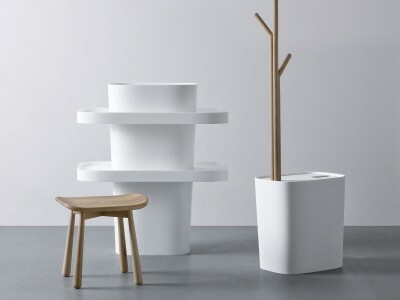 The Corian tops, already available in the catalogue in five different finishes, double the possibilities for customization. 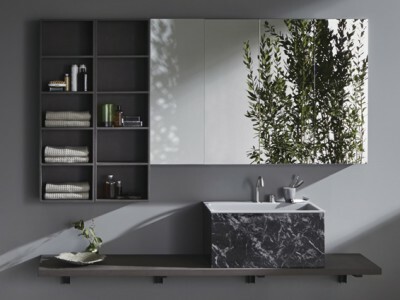 In fact, other five nuances are added to our range: from those which enhance the material aspects to those which accentuate more the refined and elegant effect, each one of them define its own style within the bathroom. 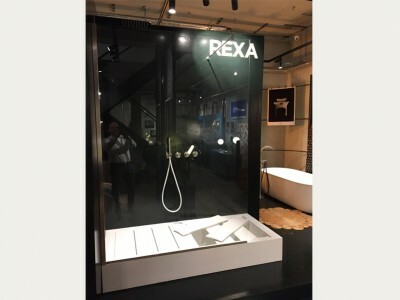 On the occasion of Black Friday there will be the opportunity to purchase Rexa products at extraordinary conditions.At all our dealers, only on Friday 23 November, there will be an extra 20% discount on all accessories and lighting. 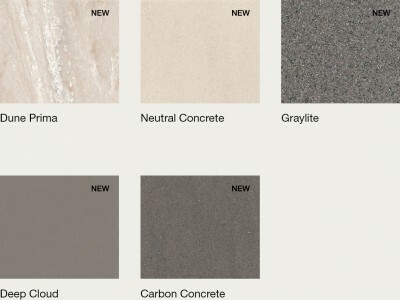 The Rexa range of finishes is extended and welcomes 5 new sophisticated and elegant colors.Dune Prima, Neutral Concrete, Greylite, Deep Clou and Carbon Concrete available for tops and integrated tops. Some suggestive photos taken during the general meetings with our representative agencies. Working days in which competences and results have been rewarded with success. 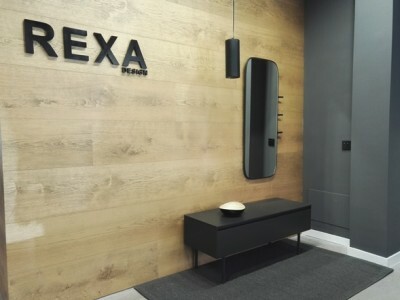 Rexa Design open its new Flagship Store with Day True Architectural Interiors, in the centre of London. 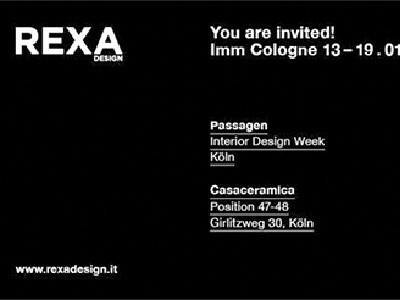 Rexa Design, in collaboration with Casaceramica, waits you during the Passagen, the important german Fuori Salone that it will be organized during the international fair for furniture Imm Cologne. 13-19 January 2014 Casaceramica Position 47-48 Girlitzweg 30, Köln. 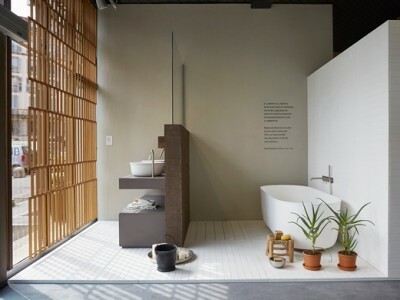 During the fair Construmat in Barcelona from 21st till 24th May, Rexa Design displayed Fonte, a model design by Monica Graffeo inspired by the Japanese philosophy of water, where the bath is intended as place where taking care of themselves while leaving on show all objects like brush, soap, bath salts, toys… getting a living and harmonic scenery. 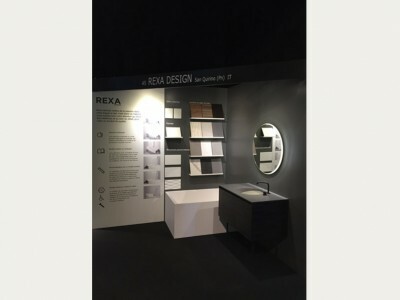 Architects, dealers, designers, interior designers and journalists crowded the exhibition rooms with new Rexa Design Collectios. Thank you all. 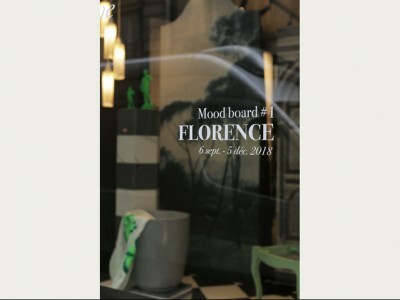 Fuorisalone at Milan, in collaboration with Corian® Design Studio. 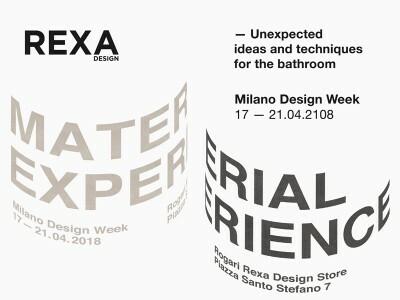 Rexa Design shows Fonte, the collection made in Corian® – design Monica Graffeo – in Via Melzo 7, Milan, very close to Porta Venezia. 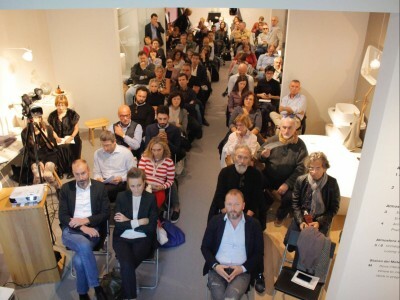 “Porta Venezia in Design” it’s a important event that involves food and design, and that it really deserves to be visited. 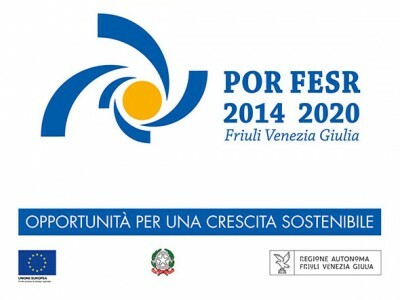 We wait you from 9th to 13th of April, from 6:00 pm to 8:00pm, and 14th of April from 10:00 am to 8:00 pm for a cocktail. Customized design for the five stars contract. Alrov Mamilla Hotel and Spa has been projected by Studio Lissoni, and it is placed in the center of Jerusalem. 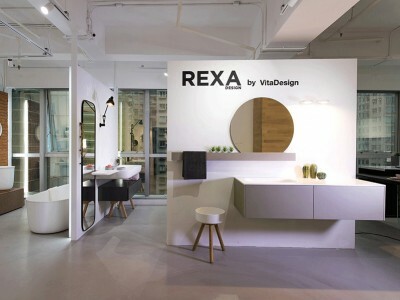 Rexa supplied 200 bathtubs to furnish the rooms’ bathrooms. 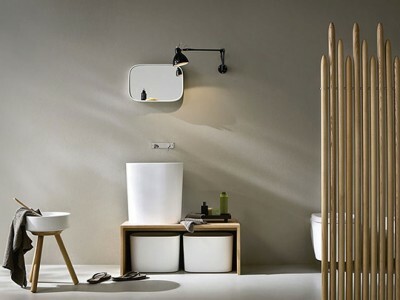 Starting from the rectangular bathtub of Unico collection, the Company customized it to follow the special needs of the designer. 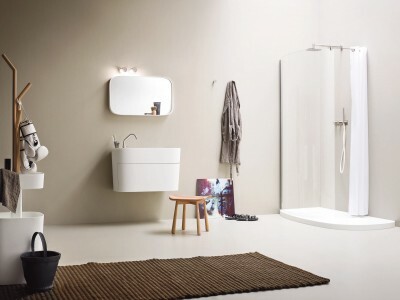 In particular it was adopted a new technology for the water spouting that permits to reduce the filling time of the bathtub. First day of spring: new catalogues are coming. 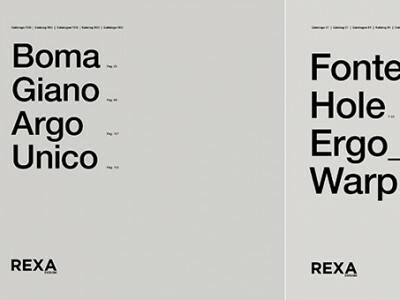 21st of March 2013: Rexa Design presents the two new catalogues 00 and 01. 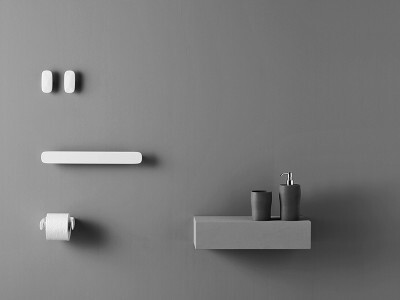 They illustrates all collection, and, at the beginning, an important chapter explains the new Company philosophy. Lay-out and style has been completely updated. 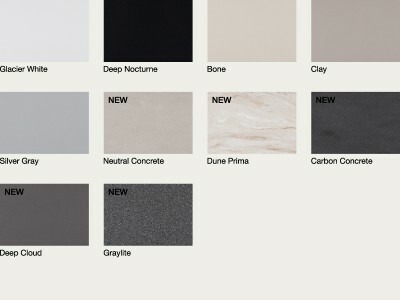 Cool, clear and detailed, they are nice to browse and they can be downloaded from pages of each collection. Inaugurated the new headquarters at San Quirino (PN). 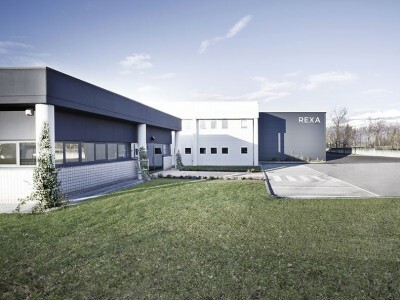 Surrounded by the nature with mountains view, the new Rexa Design Headquarters is the ideal place where have inspired ideas. For the production the Company has chosen the method of “lean production”, that avoids wastefulness and valorize the quality. Moreover offices and production, a part of the headquarters it is destined to the new show room. 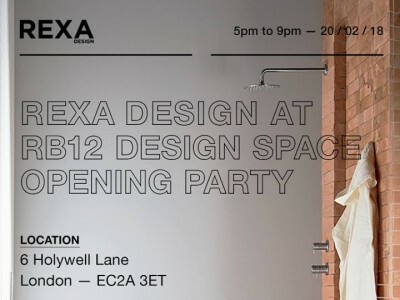 From 14th to 20th of January 2013, in the heat of European design. IMM fair it is a very important occasion of meeting for manufacturers and opinion-leaders of furniture and design market. 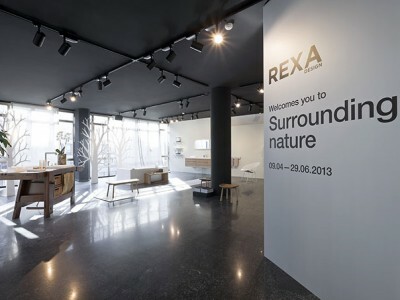 Rexa Design has displayed its new collections made in Corian® to an international and curious public. 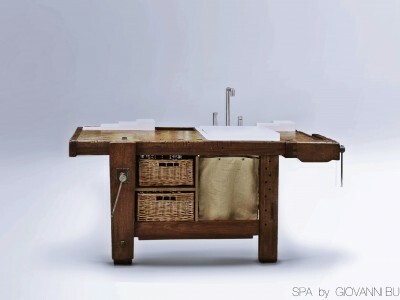 What is doing a washbasin on the woodworker’s table? 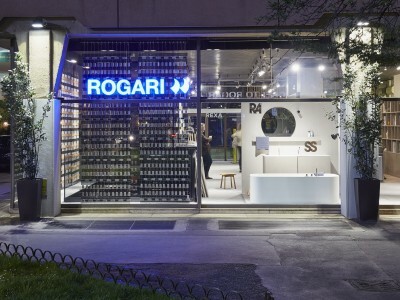 The project TAUL, design Giovanni Busetti, it’s consisting in to take a woodworker’s table and to adapt it to a new context. 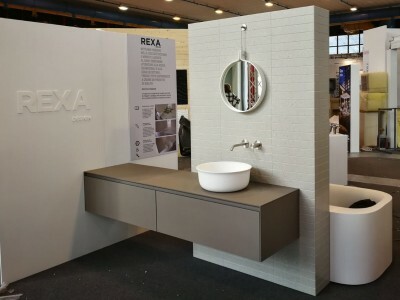 So it becomes a modern bath furniture where the washbasin and accessories in Korakril™ made by Rexa Design are matched perfectly with the wood of the table. 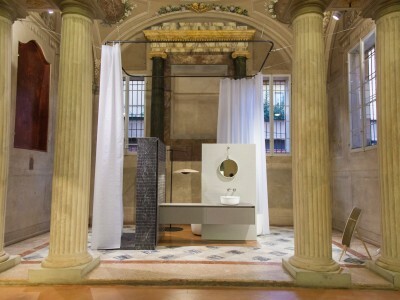 The work of art has been exhibited at the palace of Triennale in Milan from 20/11/2012 to 09/01/13.